Current research indicates that there are more than 65 million homes within the United States that have pets. This means, unfortunately, that there are also approximately 65 million homes in the US in which pets have an accident now and then. If this describes your situation, you will appreciate the tips of stain removal complied for you by OxiGreen Carpet Cleaning in Southampton, PA.
• Take appropriate steps swiftly! Fresh blemishes are easier to get out. Acting quickly will increase your likeliness of getting the spot out by 75%. • As high temperature sets most blemishes, be cautious to never use an iron or use hot-air to dry the affected area until you are sure that the spot is completely gone. • Before you do anything, you'll want to remove liquid stains by blotting or solid spots by scraping them off the carpet. • Liquid stains can usually be removed with a wet/dry vac when you have access to one. • Whatever you decide to do, do not do something that may wind up spreading the stain. • When using chemicals to remove spots, try an area that's concealed such as a closet before trying it on the spot. This should ensure that if there's any discoloring or damages to your carpet fibers, you're able to cover up the mishap and try yet another spot-removal alternative. • When you finally use the stain removing treatment, work starting from the outside edges of the stain towards the middle. A word of caution, don't scrub or scour your carpeting with a hard-bristled brush. Furthermore don't grind the cloth into the place where the spot was either. Blot carefully applying downward pressure on the region where the stain had been. • When you do use a chemical spot remover, you'll want to thoroughly rinse the area afterwards with water. Then be certain to dry the area as much as possible. It doesn't matter if you're removing spots on carpeting or furniture, press an absorbent pad or layer of bath towels down with some heavy object, such as books. Leave the whole thing in place all night. This will help to soak up any left-over wetness. • To be able to give more volume to the fibers, lightly brush the pile. 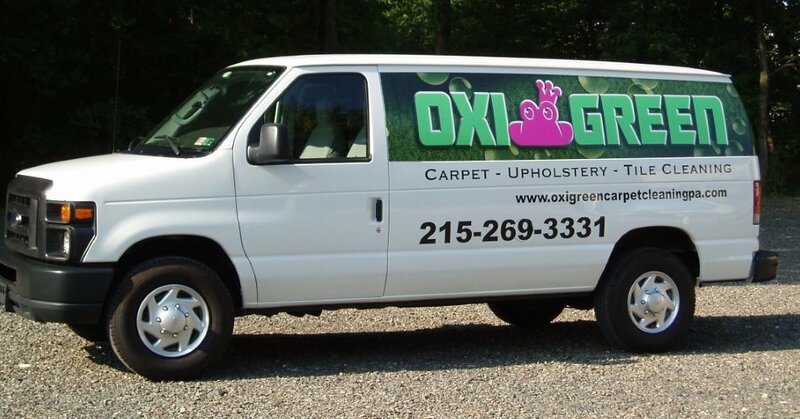 Using a Do-It-Yourself approach will pull out some spots but for trickier spots call OxiGreen in Southampton, PA. Our many, many years of practical experience plus our thorough understanding of how to remove carpet blemishes properly means you can easily trust us to get out almost any stain. There's nothing we haven't seen! We have experienced it all! Call OxiGreen in Southampton, PA today at 215-269-3331 for expert assistance with your carpet stains, overall carpet cleaning, expert repairs and carpet stretching.